Life is never the same after you or a loved one becomes the victim in a serious car accident. The Philadelphia accident and injury legal team at Kline & Specter, PC, where five of our lawyers also are physicians, understands what you are going through, and we can help. If you or a loved one has suffered severe injury or death in a car accident in Pennsylvania, New Jersey or Delaware, please call Kline & Specter at (800) 243-1100 to schedule a free case evaluation with one of our Philadelphia car accident lawyers. We represent people nationwide. 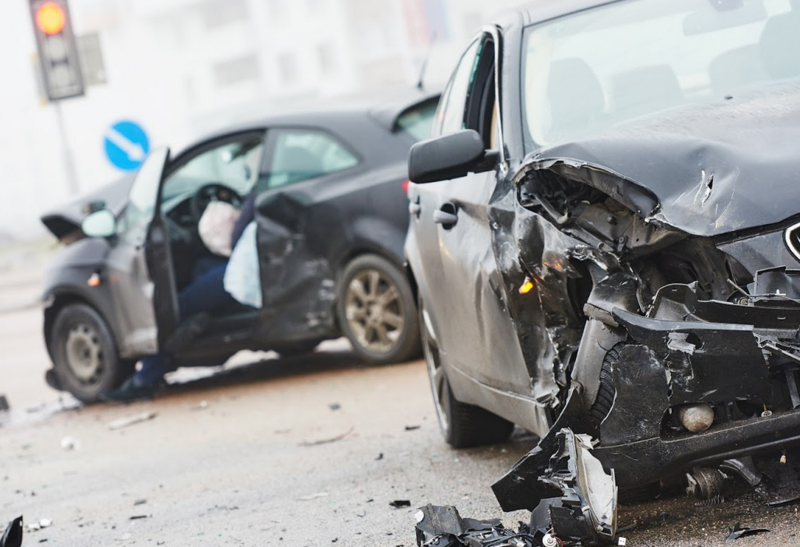 Our Philadelphia car accident attorneys have the skill, insight and expertise to successfully represent victims and their families after such life-changing trauma. We are proud of our track record of success. But we are even more pleased to have helped individuals and their loved ones put their lives back together after a considerable tragedy. At Kline & Specter, our attorneys have won scores of multi-million dollar settlements and verdicts on behalf of car accident victims. Case Study No. 1: $153 million – As part of The White Case, our attorneys secured this major verdict, which was followed by a $52 million verdict in a second trial against the Ford Motor Co. in a defective parking brake case. In another case, the firm won an $8.75 million verdict against Ford in a parking brake case. Case Study No. 2: $38.2 million – This was the verdict in The Robley Case, which resulted from a girl being seriously injured at a notoriously dangerous Delaware County, PA, intersection. Defendants were the Pennsylvania Department of Transportation and East Lansdowne, PA.
Case Study No. 3: $19.1 million – Our firm secured this verdict in The McManamon Case after a Luzerne County mother of three was badly hurt and unable to work as the result of being struck by a van during her shift at a roadside construction site. As populations grow along with the number of drivers on American roads, so too do the number of people who lose their lives in car accidents. Consider that in 2013, the last year that the National Institutes of Health produced its Global Burden of Disease Study, 1.4 million people worldwide died in serious car accidents. That number grew by roughly 300,000 global fatalities over the previous 20 years. There were 30,057 fatal motor vehicle crashes in 2013. Those car accidents were the cause of 32,719 deaths. That translates into 10.3 car accident deaths per 100,000 and 1.11 deaths per 100 million vehicle miles traveled. Pennsylvania and Delaware, the states where the majority of our Kline & Specter car accident lawsuits originate, fell roughly in the middle when it came to ranking all 50 states for car accident fatalities in 2013. The minutes and hours immediately following a serious car accident can be confusing and disorienting. There are several steps that car accident victims can take to help safeguard their case should they later choose to pursue a lawsuit. Step One: Call First-Responders. You'll need a police officer's accident report in order to initiate your insurance claim. Also, if you're hurt (or even if you feel fine), it's essential to insure that you're in good health or secure immediate care for any injuries. Besides the fact that your good health is paramount, any records related to your medical care after the accident can be helpful to your attorney. Step Two: Don’t Admit Fault. You'll need to speak to other drivers and any witnesses to your car accident in order to collect insurance and contact information The things you need to avoid are becoming confrontational with other drivers, and admitting that you were in the wrong. Step Three: Document Everything. Take pictures of your vehicle, the other vehicles involved in the crash, any affected property, the nearby street signage, and the road conditions. Draw diagrams illustrating how you believe the accident unfolded. Bring all of this evidence to your initial consultation with your attorney. As you begin to look for the right attorney to represent your interests in the wake of a car accident involving serious injuries, here are some factors you should weigh in order to make sure that you've selected the right lawyer for your case. Know-How — Make sure the attorney or law firm you enlist to work on your car accident has a wealth of experience with similar cases and clients. Ethics — You want an attorney whom you feel you can trust to honestly guide you through litigation. Accessibility — You should never feel as though your phone calls are being ignored, or as though there are other, more pressing cases to your lawyers than your own car accident lawsuit. Personal attention from an attorney means everything after you've already lived through a painful and frightening motor vehicle crash. An initial consultation is a great way to feel out an accident lawyer and determine whether or not you want to move forward with your case. At Kline & Specter, we feel confident that when you hold our accident and injury attorneys up against any other law firm in Pennsylvania, New Jersey or Delaware, you'll find that our lawyers are among the smartest and most accomplished in the region. If you or a loved one suffered severe injury or death in a car accident, please contact Kline & Specter online today or call (800) 243-1100 to schedule a free case evaluation with one of our Philadelphia car accident attorneys. Kline & Specter serves clients in Pennsylvania, New Jersey, Delaware and nationwide.